I have been a chef and cake decorator for nearly 20 years. I absolutely love food, especially sweets, and I would like to share with you what I think is the best-ever mud cake recipe. I have won multiple awards with this recipe, and the best thing is it is so simple to make. It is sure to be a crowd pleaser; one piece is never enough. Grease and line a 23cm/9" round cake tin. Preheat oven to 170C/325F. In a large bowl, lightly beat eggs. Gradually beat cooled chocolate mixture into eggs. Whisk sugar and flour into chocolate mixture, continue beating until smooth and well blended. Pour mixture into cake tin. Bake for 45 minutes or until skewer inserted into centre of cake comes out clean. Turn cake onto wire rack to cool. Please note: This mixture is quite runny, use a solid cake tin not a springform tin. Tip: Line tin with baking paper, this will make the cake easier to remove from the tin, no sticking to the sides. In a bowl over a pan of simmering water melt chocolate, stirring frequently. Cool slightly, then stir icing sugar, butter and cream until well blended. In a saucepan over low heat, heat chocolate and cream, stirring frequently until melted and smooth. Keep warm. Cut cooled mud cake into layers. Spread truffle mixture between layers with a palette knife. Reserve some mixture to finish round the edges of the cake. Position cake on wire cake rack and pour warm glaze over the top.With a palette knife to spread glaze to cover top and side evenly. Put remaining truffle mixture into a piping bag with a star nozzle. Pipe a decorative border around the edge of the cake. This cake is firm enough to cover with rolled fondant if using as a wedding or special occasion cake. To appreciate the full, rich flavour that this cake offers it is best eaten at room temperature. Replace dark chocolate with white chocolate. 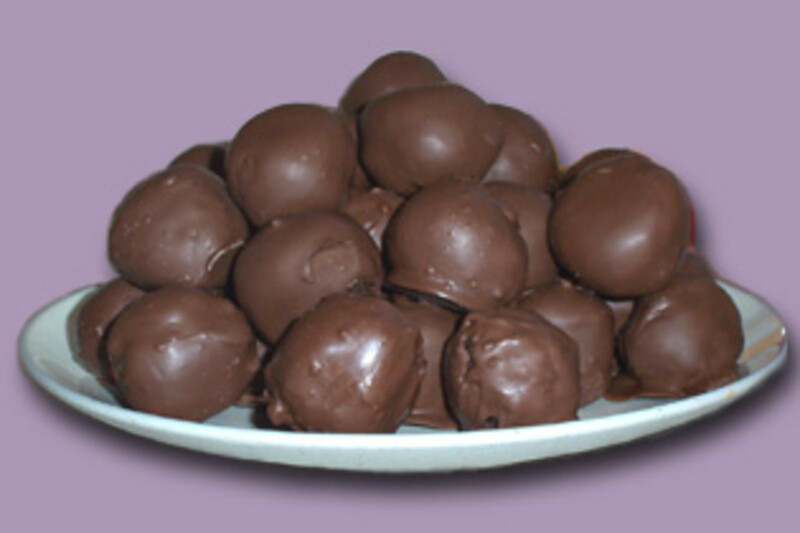 Can be made using either white or dark chocolate. Replace water with freshly squeezed orange juice. Omit 50-100 grams flour and replace with ground hazelnuts (depending on how nutty you like your cake). Also add in 1/2 cup chopped hazelnuts. Use 400 ml water and 200 ml freshly squeezed lemon juice. Add a few drops of lemon essence and 1/4 cup poppy seeds. You may add some grated lemon zest if you like a bit of extra tang. Replace castor sugar with brown sugar. This was indeed a very easy, quick recipe... Minimal fuss, fantastic result. A dense, moist, true mudcake. However. I'm no longer going to follow any American recipes. Your collective sweet tooth knows no bounds. It was sickeningly over sweet. Bordering on disgusting, sadly. If any of you out there are overweight I think you seriously need to consider what seems to be a sweet/sugar addiction. I did half the quantity of icing (chocolate frosting....still too much), and iced out as a one layer cake. I like my mud or chocolate cakes to be most, dense, made with natural hard fats rather than oils, and be bittersweet rather than saccharin sweet. Sorry, but on taste, this shoes a zero despite decent ingredients. I just wanted to let you know I made this cake just now & it is AWESOME! Thanks so much for sharing recipe! Made your cake twice in one day, both turned out great!! Had some really good comments about it too. I just changed the glaze for more of a thicker ganache adding less cream and a little butter, otherwise everything was as you had put in your recipe. Quantities where spot of but my cakes had taken more one hour to cook. Thanks so much for sharing! Will make it again!! Can this recipe be used to layer? Thanks for sharing a good mud cake recipe! Do you know of any good rum cake recipes? This cake is devine !! Hi our daughter is getting married and the lady making her cake is going away. She is having a fruit cake & 2 mud cakes. The cake with be about 10days old by the time the wedding is. Can cakes stay fresh for this long. We live in a small town so there r not a lot of cake makes around. I am presently baking the caramel version as a trial cake for a Wedding in Melbourne in September I am in Sydney....If I made the cake and froze it...how long do they take to thaw out...(middle tier 8 inch) I have to have the cake iced and decorated by the Wednesday for it to be taken to Melbourne (Iced in Satin Ice fondant) top tier is fruit cake ^(6inch) and bottom tier Chocolate Mud I have a favorite recipe for this one other wise I would have tried your choc version. I am going to be pushed to bake and Ice the 2 mud cakes in 2 days hence i thought of freezing one layer...and yours says freezes well.....Your answer will be very much appreciated...thaks for sharing.. I want to make this cake for a friend's wedding but she is a coeliac and I need the gluten free version. She would also like a white chocolate cake. I think the white chocolate can be substituted for the dark but does that alter any other of the ingredients? Can anyone help. i made it and it came out perfect.the water is what is needed to make it moist but i also added oil to it. 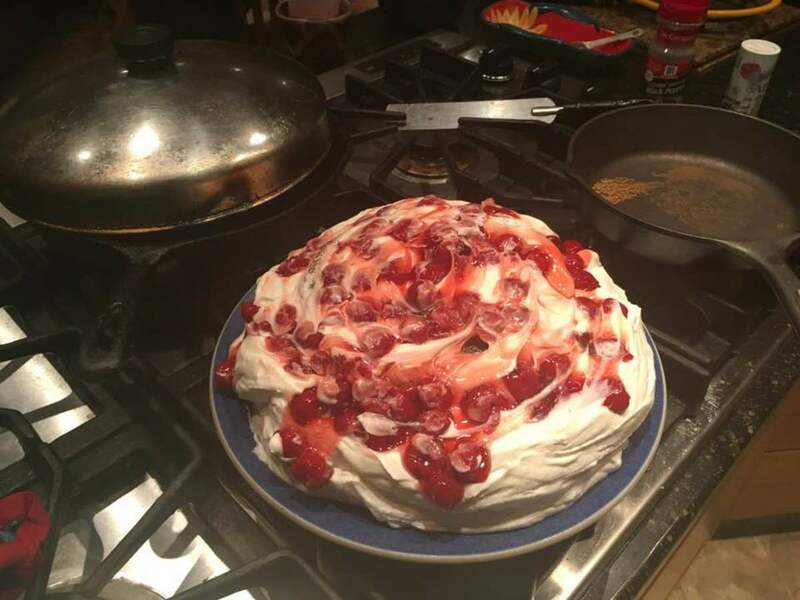 I've been following your recipe for 3 years and every time the cake turned out absolutely perfect and mouth-watering. Several people told me it was the best choc cake they ever had and asked me to bake it for their birthdays. PS what texture do your mud-cakes have? in particular, the caramel mud-cake? does it come out tall? will i have to bake a few cakes to get a good height on my cakes? Made this cake for a wedding a month ago.... was a great hit! Tasted wonderful, was a great density for tiers and was easy to cover in fondant. I used the truffle mixture to smooth it over like a buttercream under the fondant, it worked a treat! Will be using the recipe again for my son's birthday cake, can't wait! I was looking for a caramel mudcake recipe and it led me to this page! The picture plus the list of ingredients and the originality of the truffle layer made me chose this recipe among others. But the caramel version did not turn out so well :-( It was cooked perfectly, looked great but the taste was very disappointing. I guess the ingredients measurements should be different from one flavour to another.. On the other hand the truffle mixture was delicious . The caramel glaze was also delicious but I changed a couple of things: I put half white choc and half caramel 'choc' and reduced the 300g of icing sugar to 250g as it seemed a lot). I do not doubt the choc mudcake is delicious... I just don't want you to be disappointed by the caramel mudckae recipe. I just baked the standard version, and it came out of the oven "PURRRRFECT"! And just as delicious in taste! Im going to put a layer of strawberries with the truffle for extra yumminess! Disaster. After 45 minutes the mix was still liquid. I've gone over the recipe and my method and can't see any deviation. After cooking for an additional 30 minutes the top was quite burned and the centre was essentially raw cake dough. I realise it is a mud cake and is supposed to be damp, but it just tasted uncooked. I used the orange juice version. I had to have done something wrong, given the success of others. I just don't know what it was. I made this for my son's 6th birthday and it was a huge success with the kids and the mums and dads at the party. The truffle mixture is well worth the extra effort - I got so many positive, appreciative comments and some kids went back to seconds which was lovely. Will be using this recipe as my staple birthday cake recipe from now on. Can't wait to try the Caramel. Thanks so much for sharing. Made this lovely cake today (using the orange variation). 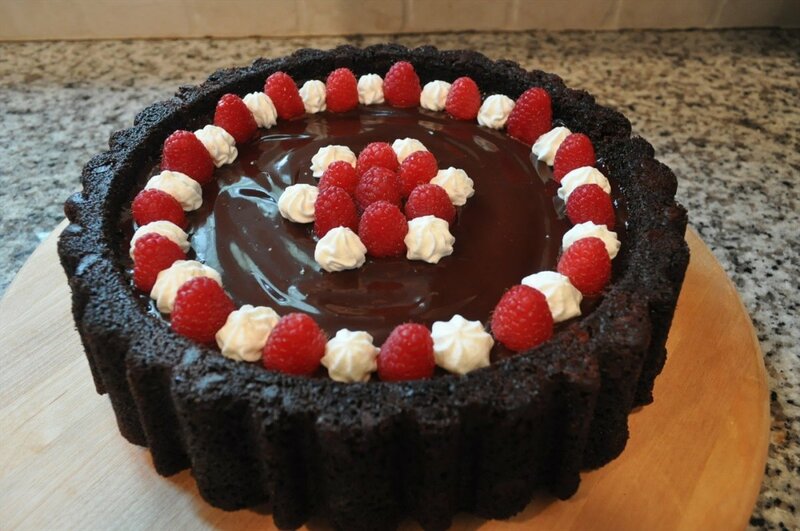 It was moist, chocolaty and easy to make! I make celebration cakes as a hobby and have been looking for a good dark Choc mud recipe for a while. This one has half the amount of chocolate than the recipe I usually use and tastes just as good ( which means the cost of the cake is reduced substantially!) It did take almost double the amount of time to cook though. I also added some orange zest to give it a bit more zing. I will definitely be using this recipe again. Everyone loved it! Thank you for sharing! My cake was crispy on up .. What could be the problem? I have been cake decorating for a while now for friends and family and this is the first only recipe I have ever used, it is just perfect! My mum found it when looking for a recipe to make me a birthday cake and it is very treasured. Thank you for posting! I have the white version baking right now, I've had it on for nearly 80 minutes and it's still very runny in the middle. I'm not sure it's going to cook! Any guesses why this happening? hi all!!! yes I attempted this cake on the weekend and wasn't sure with the mud cake color , it wasn't as dark and rich as i would have prefered it to be , as for texture defenately moist ..the cake cut beautifully and it was moist and cosnsistant though out the whole cake , intersting as i have used pre mixes in the past and find they dry out on the sides and the centre is muddy .. love this recipe concept and the fact you can change flavours which is great , I have been looking for a recipe that can give my customers who order a celebration cake choice of flavours .. in saying this Iwould love to know if there is a way I can do a marble effect and a swirl ( rasberry ) flavour , not sure how this will work as the mixture is quiet runny . any suggestions anyone ? going back to the mud did anyone find color not as dark as mud cake normally is , well i am thinking of adding cocoa and coffee into my water making it up to 600 ml's ... could this work ?? @ Jenz - way back at the beginning of the comments it says you can put fondant on with no worries. I am wondering if anyone knows if the fondant keeps the cake fresher? Kel says that the cake is best eaten a couple of days old, so should the fondant go on straight away or the day it will be served? Also, would it be advisable to buy or make the fondant? I would prefer to make it, I just have no idea if it is something that is easy to do??? hi just wondering if this cake is ok to have fondant on it? I just cooked this cake, I am by no means a baker of any description and I actually don't eat cake (especially chocolate), BUT, my partner (who is the biggest sweet tooth in the world) told me I should try a piece, which I did and it tastes really good! I do not understand how any of you could possibly get it wrong - if you follow the instructions as they say it will turn out perfect! I used a square cake pan not a round one and I did overfill it a little and it oozed during the cooking process, but it still worked fantastic. I did have to cook it for around 30 minutes longer than the recipe says, but anyone with some cooking ability should know that cooking times and ovens vary... I cooked mine at a slightly lower temp as well (150). Yes it is a runny recipe as Kel has pointed out numerous times, but if you just let the cake cook it will turn out wonderful as mine did. I am so happy with this and I can't wait to try the variations and to make a wonderful cake for my best friends 30th. Hi I attempted this cake but when i tipped it out of the cake tin it all fell apart? 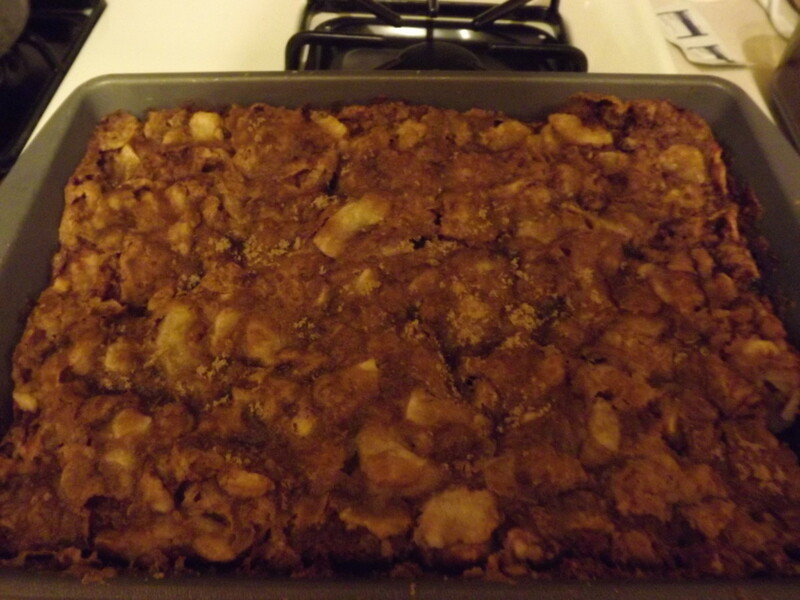 do you know why this would be, it basically crumbled, i followed the recipe exactly. The crumbled cake still tasted good though. Ana - I've used Galaxy milk chcolate in mine before and it turned out just lovely. Is it ok to use milk choc instead of dark choc? I hate dark choc bu maybe the taste is milder when cooked? As I said I made this cake for the Easter long weekend, it took 3 hours to cook @170c non fan forced!! Hi i have made this cake as a tester for a wedding cake i have to do in a few weeks, i'm not a fan of mud cake myself but this is by far the nicest one i've ever made. Yum! This looks SOOOOO good!!! I can't wait to try it. So just so I'm clear.. this recipe makes enough batter for one 9' round? please could you tell me how much mix i need for a 6" cake, as i'm not sure ow to work it out, and does this cake stack well as i am doing a 3 tier christening cake? After all the great comments I've read about this cake I've decided to make this for our family Easter desert, its looking great in the oven so fare but I relised with baking paper on top of the cake in a 9" silicone square pan you might have to increase the cooking time, so fare it's been in the oven on 170c for 1h 40mins and looks fantastic :). I'll let you know how it went after the Easter long weekend. This recipe is WONDERFUL. The BEST mudcake I've ever made. You HAVE to follow the recipe, I thought there was way too much water in the recipe too, but you will not regret it if you do as it says. Use a non-springform cake tin or the mixture will ooze out. I baked mine at 165 degrees (because my oven tends to burn things) for 1 hour 5 minutes and it came out perfect. I did cover the top with a piece of baking paper so it bakes evenly and it prevents cracking. You do need some common sense in terms of time as it depends on your oven. Chill your cake before serving as it becomes denser and more mud like. Enjoy! Not a great cake, too much water and really light on choc, waste of time and money for this one! i have made this cake several times now and have never had a problem it is delicious rich and fail proof. i even got to make a three tier madhatter cake with this recipe... which ended up being six cakes and served 250 ppl it was awesome.. my customer loved it and i will never use a different recipe ever again. Hi there, could I make this recipe to fit a large rectangle tin? 11" x 15" x 3"
could I triple the ingrediants? I had run out of baking paper but decided to just give it a go without as I only want to try out the taste of the recipes for a birthday cake I'm going to make next week. The top of the round cake looked a little cracked, but still a lot better than my sponge cakes usually turn out even in a cool oven. I have to admit when I first put the cake in the oven I wasn't too sure how it was going to turn out, when I opened it to put the second one in the first one looked pretty much cooked on the outside but still wobbly in the middle like it was completely raw but it has turned out really well! Cant wait to actually taste the cakes, I'm hoping my kids and husband love it so they eat it before me otherwise theres this week at weight watchers ruined! - the truffle sauce was way too sweet for my liking, and I used half the amount of icing sugar. The one batch was enough for me to put in the centre of my two cakes, and the top of one also. I ran out of time making the glaze. - I made 2 cakes on Thurs: One was taken to my husband's work Fri and met with rave reviews; the other I put in fridge, covered with fondant on Fri, and presented it on Sunday. It was good - but not as fabulous as the day after. Google grams to cups conversion if you want to convert the recipe! Faster than reading through all these comments. This cake was so easy to make, I lined the tin twice with bake paper on the sides and bottom, and used a springform pan and there was no leakage. I also put a piece of bake paper on the top as suggested, so the cake came out with no crusty edges and the top rose perfectly evenly (I wonder if you do this to all cakes they will rise evenly? )I don't have my fan working in my oven at the moment and I put the temp at 160 c and cooked it for 1 1/2 hours, it was still not cooked really well in the centre even thoough the skewer came out clean, so now I am unsure how long to cook it for? I tried the caramel version, it wasn't really caramelly, more like a white choc cake, but it was still delicious. Thanks, i will try the other versions. Thanks sooooo much for sharing this recipe, it has to be the best cake I have ever made. My family were very very happy. This recipe looked so easy, too easy. I have to say that I read ALL the comments and tips before commencing an 8" trial cake (I intend to cook a 14" one). I had a little bit of mixture left so made some muffin mud cakes too. 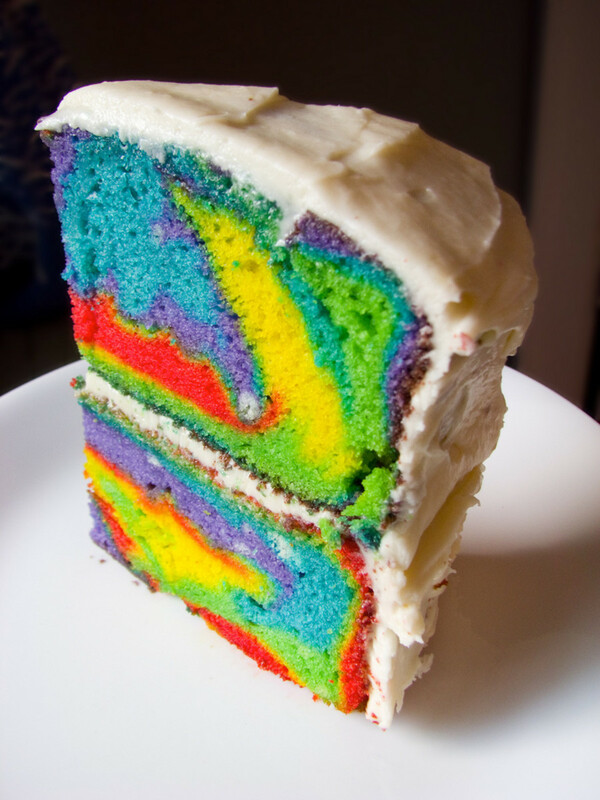 This cake is divine. It took about 1hr to cook the 8" cake and I really could not be happier with the result. It is it seems, as simple as following the recipe. Awesome. I baked this cake for my mother's 60th birthday. I did the white chocolate version, and it was amazing. One comment: "you made this? Tastes like the white mud cake I buy at ..."
Thank you so much for the recipe. My 6yo son and I had fun. I only had a small 9" round tin so when it filled to the brim, I read down a few more posts and realised a second tin was in order. Both cakes turned out perfectly and two days later the proof is in the tasting. Made an icing with melt chocolate and cream. Unfortunately, that turned out a little lumpy but didn't take anything away from the cake. I agree with Jodie. Those who can't get it to work MUST be doing something wrong. Follow the recipe as it says. Don't add, don't omit - just embrace the watery batter! The only things I changed, according to people's advice on here: Cook for longer if it doesn't cook in 45 mins. Mine took 1 hour 20 mins. Also, LINE the tins well and put paper over the TOP of the cake before you put it in. First time I baked it, I opened and closed the oven about 4 times. It didn't even SINK! Amazing. GOOD LUCK everyone :) You are all welcome to come over for a slice. you must be doing something wrong because I make cakes professionally and I use this recipe and I get the most amazing comments. Everyone has a different oven, so use your common sense!!! Also, dont forget that mud cake needs to settle so dont eat it right away, usually two days is good enough. 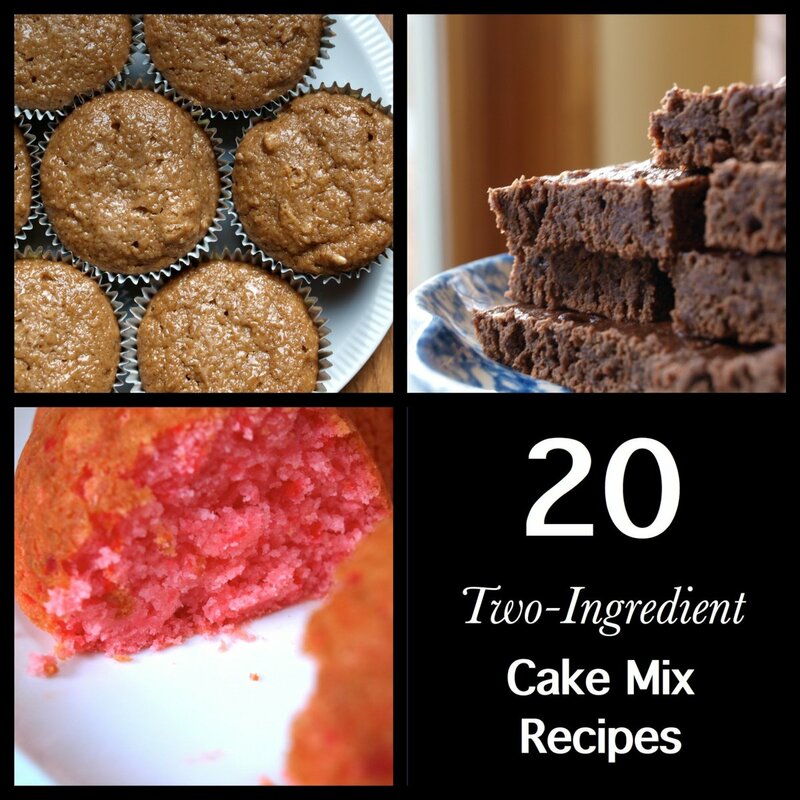 It is seriously THE best ever mud cake recipe. I want to try make a cake for my Dad's 60th and am looking at using the caramel mud for the cake. I have used Fondant icing one before but placed Marizpan underneath. Do you recommend using the truffle icing and then fondant or should the truffle icing be ommitted if using this style of icing? Also - how long would this cake keep in the freezer so I can make ahead and only have decorating to do closer to the day? i love your mud cake recip!!!!!!! So, I continue this after baking the most AMAZING mud cake ever in my life!!! When I went to the supermarket to buy the baking paper, I decided to get a non-springform cake tin. I found the most fantastic 6" high 23cm non-stick pan. Once I lined and filled it the delicious dark chocolate watery mix, it cam up about 2/3 the sides of the pan. I am SO glad I got that tin. I had to bake it for 1 hour and 25mins. The skewer came out clean with a few crumbs. A squishy wobble to the top of the cake - but hardens to perfection once it is cooled. It is SO, SO, SO beautiful! I'm in Australia - so used, Lighthouse SR Flour (the one labelled "for cake, biscuits, pastry") + a mix of Nestle Dark Melts and Lindt 70% cooking choc - only added a couple of pieces of Lindt and the whole 375g bag of melts). Everything else as per the recipe. As for mixing, I used my Kenwood Chef with the whisk on the lowest 1 -3 settings. I had NO problem with ingredients flying off the sides of the bowl. The quantity of this cake come right up to the top of the whisk, but is not at all a problem. Now that my test cake is done, I am looking forward to baking the REAL cake for my friend. Kel. thank you SO much for this recipe. You are going to make generations of people, very, very happy. I am truly grateful. 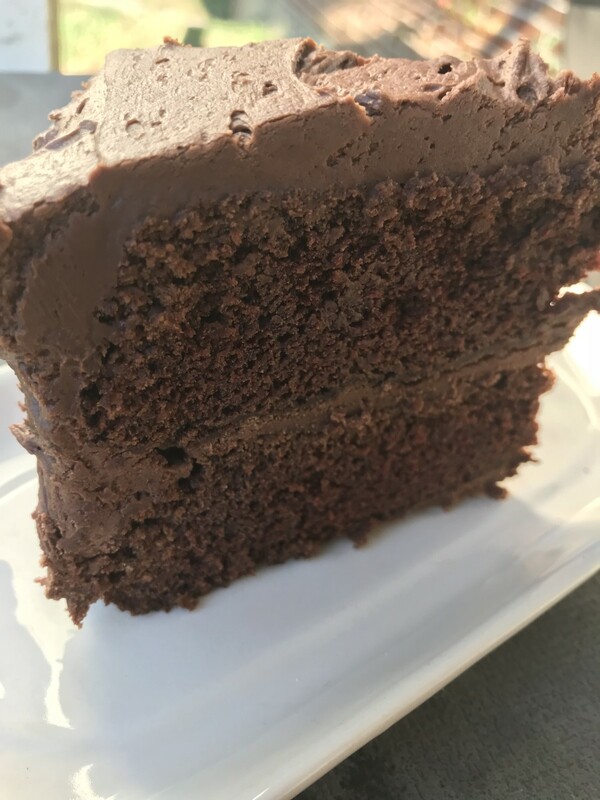 "One slight glitch - I'd never had mud cake before so didn't realize how rich it was, so made it to the size scale of how much you'd need for regular sponge for 30 people. It weighed 5.5kg in the end! So much cake! I think I was a bit slow not to stop and think it was a bit much when measuring out...oh well, who doesn't like cake?!" I have all the ingredients except for the baking paper!! Argh!!! Forgot to take my shopping list and it's the only thing I forgot. Have to go to the shops first and then bake the cake in a few hours time. I CAN'T WAIT!!!! I am going to surprise a girlfriend of mine with this cake. She is 34 and has NEVER ever had a home made birthday cake for any of her Birthdays - all her life. Going to fill/layer it with chocolate and stewed pineapple ganache and then cover with a Chocolate and sour cream ganache. Then cover part of the cake with large blue and green flowers (Hydrangeas and some large petal flowers). Ordinarily I would have put cherries and chocolate leaves, but since this is a birthday and she has never had a cake with traditional homemade finishes, I am going to do it with a few flowers. She is going to be stoked! :) YAY!! I'm making this for a joint 120th (60 + 60) birthday party. Sometimes I dissolve instant coffee into the water which seems to enhance the chocolatey buzz. Have you ever tried this? 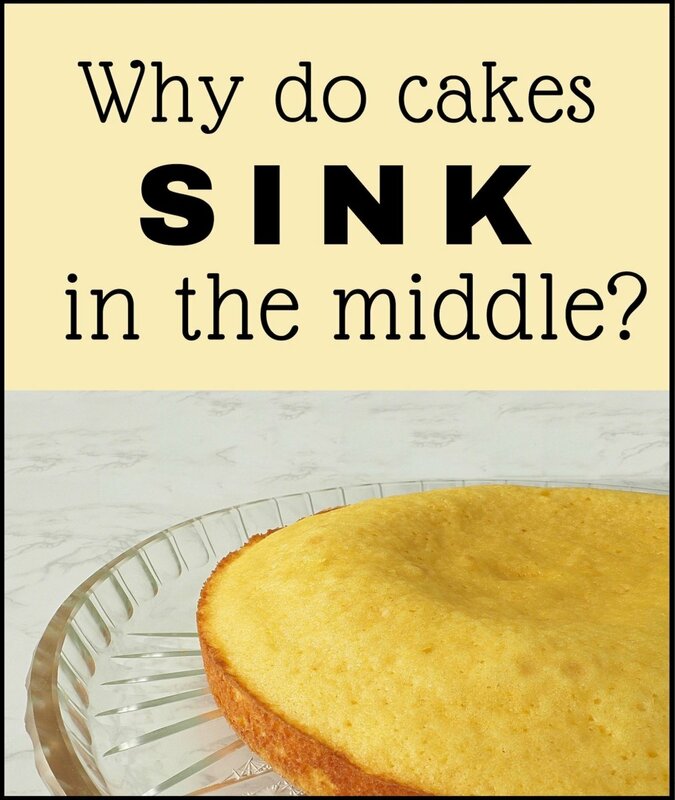 hi i'm making the cake at the moment and i'm wondering do you put the water in all at once or gradually??? hi again, this cake does get denser as time goes on even a week later cake was great. will be using this recipe for a wedding cake, going to try the white one this weekend. have put a piece n freezer and will bring it out this week and see how it comes out of freezer. By far the best choc cake I've ever made! I was quite worried about the runny mixture but boy was I glad I followed the exact recipe. Kudos and thank you sooo much!!!! My boyfriend and I made this for my birthday this month, and it was FANTASTIC!! We've NEVER eaten anything like this before, seriously!!! So thank you sooo very much for sharing your experience and the wonderful recipe!! When making any product, Don't worry about the budject, because a "cheap cake tastes cheap & nasty"
LIFES TO SHORT TO EAT CHEAP CAKE!!! Also, (Nicole) changing/Replacing Dark choc with Milk Choc or white choc WILL NOT change the cake. Was the mixture still quite runny? I'm in rural VIC, hard to get things at the best of time. If icing the cake with a chocolate icing/Ganashe in a humid area, i'ld be using a refridgerator. Could you please advise - I live in Singapore, it's hot & humid here. I'd like to bake and fill on Thursday, ice with fondant on Friday and the party is on Saturday. Would you suggest I refrigerate my cake before icing? would it affect the fondant? Thanks for your help & thanks for the recipe Ann. how would i adapt this recipe to make a tim tam mudcake? Is the self rising flour in Australia the same as you would get here in the US? I've been wanting to try this recipe out for a long time, but am afraid just in case they are not the same. Also, what % of chocolate do you recommend? Hi! I hope this is the right recipe for the Australian mud cake. 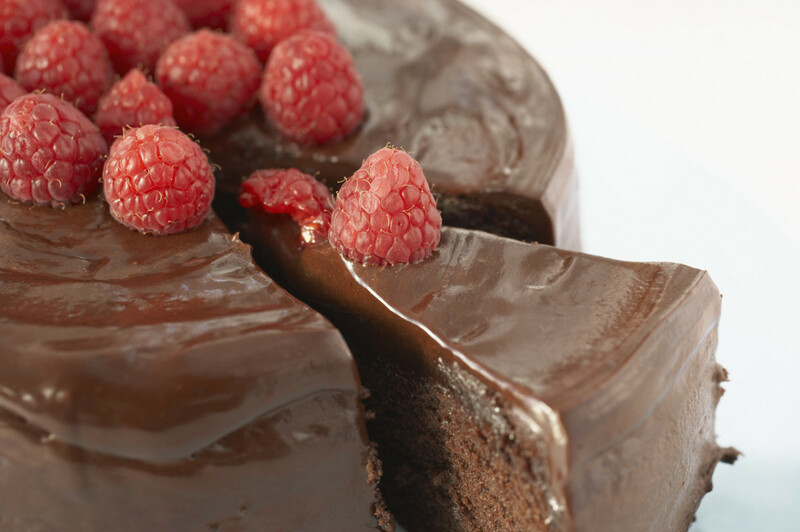 I ate a piece of a mud cake when I was in Australia 12 ½ years ago and I LOVED it! I hope I can make this mud cake for my birthday next week. I promise I will let you know how it turned out! Thank you for this recipe! When I made this cake it was for my son's engagement. I baked it on Tuesday, covered it with ganache and fondant on the Thursday for the party on the Saturday and it was so beautiful and moist. I do not have any problems doing the same for the wedding. It seems as other people have said previously, it gets better with age. I made this mud cake today with my son and I'd just like to say thanks to Kel - it's delicious! It's only the second time I've made mud cake (I'm a pommie, lol) but it surpasses my first effort without doubt. I must admit to being very unsure about using 600ml of water but decided to go with it. My fears were unfounded. Unlike other posters I found the cake was perfectly cooked in 45 mins (although I used a rectangular tin as opposed to a round one). Looking forward to trying it with orange juice next time. Thanks once again for sharing. Fab recipe, have made it loads of times now and get so many compliments on it. I'll be using the recipe for my friends wedding cake next year! Everyone who says they are leaving out the water etc. don't, trust the recipe, it really works so well!! Just cook it until you touch the top and its firm to the touch and you can't feel air bubbles squidging out like a mousse. WOW - definitely the best mud cake ever! I had to cook it for quite a bit longer than it said, but the results were fantastic! 10 others at my work agreed that it was the best mud cake they had ever tasted, and I can't believe how easy it was. Definitely recommended! This cake is fantastic - do not be surprised if you have to bake it for longer than 45 minutes, though. It's very runny & I just kept checking every 15 minutes with a skewer until it was done... last time I cooked it I had to double the amount of time it was in the oven for. Never the less, this is the best chocolate cake I have EVER eaten. And ULTRAMOIST! YUMMO!